Can True Colors Accurately Predict Outcomes, Traits, or Characteristics of Individuals? 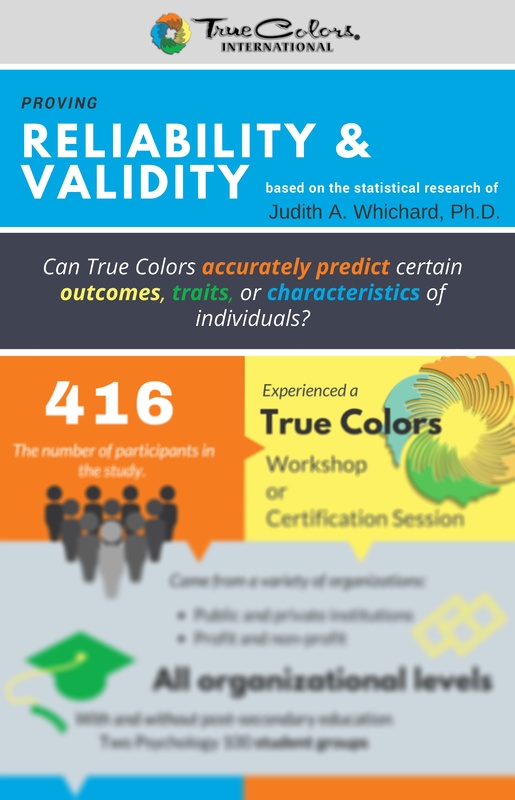 Designed for those curious about the truth behind the True Colors system, this fun and easy-to-read infographic simplifies an in-depth statistical analysis conducted by Judith A. Whichard (Ph.D.) on the reliability and validity of the True Colors methodology. True Colors® is a model for understanding yourself and others based on your personality temperament. True Colors works because it is based on true principles and easy to remember and use – in all kinds of circumstances – from personal relationships to professional success.